Episode is up, but show notes aren’t yet! i planned on writing them up tonight, but had to pack up charlie (ie. my lendrum) so he’ll be ready to ship off to his new home tomorrow morning. SO, show notes will be written completely tomorrow! i apologize for the delay!!! -Morton arboretum was a blast! and yes, arnold is still alive today! first off, i apologize. 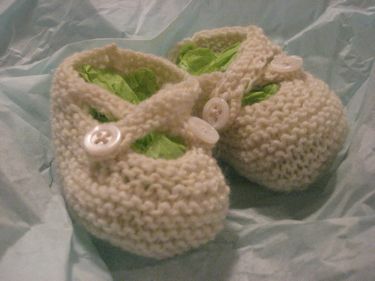 i owe you pictures of baby booties!!! ain’t they the cutest?! those are the Saartje Bootee’s pattern and they’re SO cute/quick/easy! saturdays and weekends are usually full of hustle and bustle around here. that’s when we get to do all the “fun stuff” we like to do together. but i find myself looking forward to that time on saturdays when the little man is sleeping, and ry is away at band practice, and the cats are both sleeping in their usual spots….because the house is all mine once again! i get to do whatever my little heart desires!some days it’s full with things i HAVE to do (like dyeing fibers or sewing cases for an upcoming show, weeding the garden, cleaning the house)but today? today i had true MY time. time for me to do some things that i WANT to do.like…. knitting a february baby sweater for my future niece! truth be told…..i sold charlie yesterday…charlie is my lendrum….i’m spending the weekend with charlie..getting him cleaned up and ready for his new home where he’ll be working with spinning students. i’m clearing off his bobbins. giving him a good wipedown….and eventually, packing him up and mailing him off.when it comes down to it…i’m actually kinda sad to see him go. i wish i could afford to keep charlie around so that if anyone around me ever said “maybe i’d like to learn how to spin” i could drop charlie off and let him do to them what he did to me over the past 6 months. make them want to spin all day and all night and never think of doing anything else…. i’ve never touched her…i’ve never seen her in person….but somehow, i feel like we are destined to be together. it’s like love at first sight! i feel like i want to adopt a puppy i saw in a picture on line. 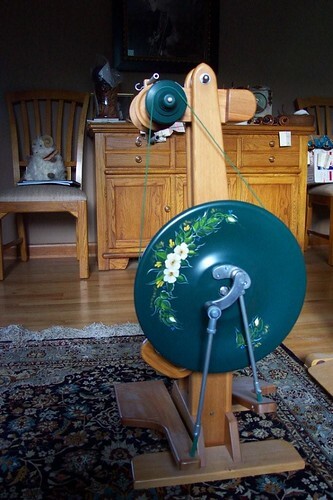 i’m going to visit this green & flowered beauty this week, and if we get along (and i can afford her), she’ll come home with me…and we’ll make beautiful little yarn babies and live happily ever after! (hahahahaha)here’s to new opportunities!!! -Alpaca, face painting, and wool! 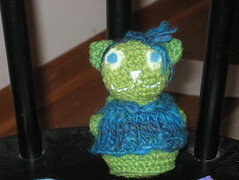 -Met Dianne from Creatively Dyed yarn and fiber. She’s super sweet and VERY talented! -Ellen, i love you, but you are EVIL!!!! Lots of people, Lots of fun, and Lots and Lots and Lots of fiber! i don’t think it gets any better then this! what a combo! plus, i’ll be there with stephanie and her sister selling some batts, roving braids, niddy noddys, needle cases, hand spun, and spinning wheels! Green Mountain Spinnery is having their 17th Annual Knitters Retreat the weekend of September 26-28th and will have Kate Gilbert (designer of the clapotis, bird in the hand mittens, and arwen) teaching some classes there!! Be sure to go and check out Green Mountains yarns as well, they do all look SO lovely, support local shepherds, and are organic or darn close to it! 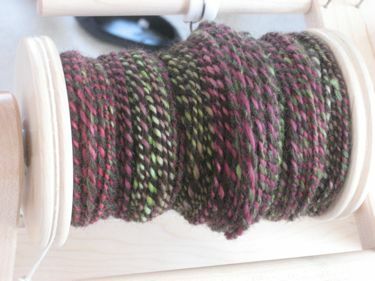 they also look like they’re as close to handspun as you can get! i love it!!! Midwest Fiber and Folk Festival is this weekend in Crystal Lake, IL. Come say hi! 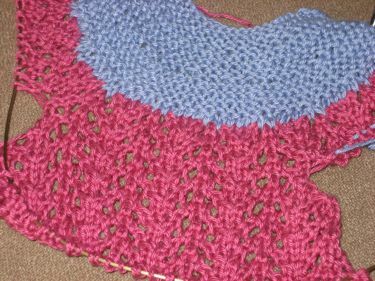 -Handspun Shrug is done…will post photos after i weave in ends and block it…. 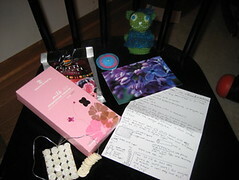 -knitting at night podcast with casey came just in time…i’m going to go EZ style!!! -need to spin for HHHH….HAVE to get that started ASAP!!! so in the last podcast i mentioned the rumor i heard about swiffer containing antifreeze like chemicals and is hazardous to animals. a couple listeners sent me this link from snopes.com which debunks it as an urban legend. i wanted to share this so people didn’t get scared that they were going to hurt their animals. if you love the swiffer, you go right ahead and keep on swiffering!!! sorry, swiffer. i’m sorry i doubted you!!! -Finished my Critter!!! and got my critter!!!!! -Saartje Bootees LOVE THEM! 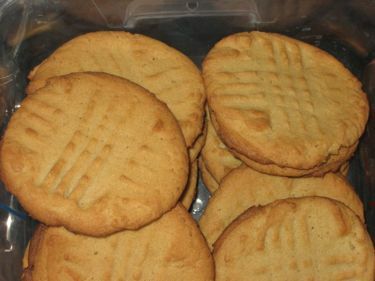 (promise to post photo of them soon! -4th of July…are all holiday’s cursed?! 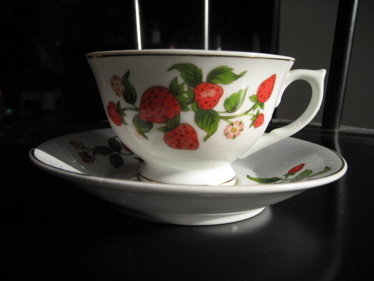 -Preparing for Fiber and Folk Festivals! Spinundrum and I will have a booth! come stop by and say hi!!! 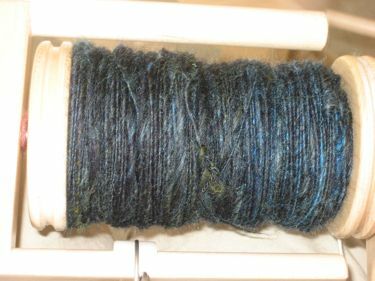 -Hush-hush handspun hootenanny got my swap partner….now what should i spin?!?!! -The wheel…sell? or not to sell? 1 part warm water, 1 part rubbing alcohol, 1 part vinegar, 2-3 drops dish soap, and 2-3 drops lavender essential oils (if you’d like, not needed!) put it in a spray bottle. spray on floors, then wipe off using a Microfiber towel attached to your swiffer. GENIUS!!! !